I’ve been contemplating my diabetes supply transit situation since my post the other day about all the stuff we have to carry around. I’ve decided that I need to learn to travel at least a little bit lighter than I normally do. Why do I need to carry around a notebook if I have Post-Its? Why do I even need a notebook or Post-Its when I have my iPad and phone? I started looking around online last week to see if I could find a bag that jumped out at me. Something small, manly, yet big enough to carry what I consider my essentials: iPad, phone, camera, BG kit, an extra pump inset, and something to treat a low blood sugar with. As long as I remember to make sure my BG kit is well stocked with strips and alcohol swabs (yes, I am part of the 1% of people with diabetes that use alcohol swabs), everything else is really non-essential. For most people, even these items aren’t all essential, but these are things that I use every single day. I couldn’t really find anything that I liked online. Plus I wanted instant gratification, as I was hoping to have something that I could take with me this week for Thanksgiving. On Saturday, I managed to talk A-Flizzle into going with me to Marshall’s to look at their bags. They usually have a smattering of different kinds of bags, so I figured it wouldn’t hurt to see if they had something that was good quality, my style, and on the cheap. I found something I think will work perfectly: My first Swiss Gear backpack. And it has a 5 year warranty, which is really like a dare to say, “Hey, see if you can bust this one with all the crap you carry around and the abuse you inflict on it.” I’m going to give it my best shot. Disclaimer: Marshall’s nor Wenger had any bearing on this post whatsoever. I just simply wanted to share that you can sometimes find excellent D-related gear from non-D-related places. And that I’m excited to have a bag that I can brutalize for at least 5 years. National Health Blog Post Month, Day 18: A comment as a blog post. Pick someone else’s post (from the past or from today) and write a comment to them. Write that comment as your blog post for today. Link back to them to let them know you were inspired. Yesterday, I was reading through the “Let It Be” themed blog posts, and one really stuck out to me. Jen, over at Blood, Sweat & Carbs, wrote about the fear that so many parents have when raising a child with Type 1 diabetes. 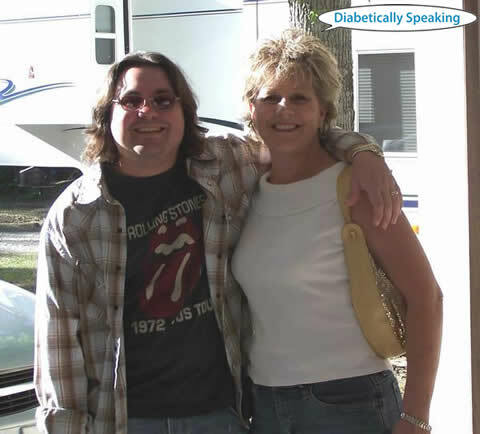 Jen’s words are real, and vivid, and I know something that every single parent of a child with diabetes thinks about, but never wants to admit. For some reason, Jen’s fear reminded me of a story that I haven’t thought about in awhile. One morning in my early 20’s, I woke up all alone, in a strange bed, cold, in a room well lit with fluorescent lights, covered with nothing but a thin sheet, wearing only a pair of shorts, and staring at the clock on the wall above the door, trying my best to figure out when and where in the world I was. Turned out I was in the emergency room, having had a severe low blood sugar and seizure early that morning. My dad would always call me in the mornings when he was working off the coast of Louisiana on oil rigs, and he later said that I had answered the call, but then he heard a crack and the phone went dead. The crack was my head hitting the kitchen floor. My girlfriend at the time heard the commotion, found me in the floor, and called 911. After the ambulance ride and whatever the doctors did in the ER to get me back to good, my girlfriend and my college roommate finally invaded my room in the ER after having been told to wait in the lobby for a time. It wasn’t long before my mom and grandma, who lived an hour and a half away, also showed up. I remember being happy to tears that they were all there, and that I wasn’t alone anymore. Hospitals are scary when you’re that low. Heck, the entire world is scary when you’re that low. While we were in line, a homeless man asked my mom if she could spare a few dollars so that he could get some breakfast. Thankful that I was okay, and in the spirit of blessings, my mom didn’t hesitate to give the man a bit of the cash for him to get himself some food with. The disheveled man promptly took the money and headed for the door, where his friend was waiting, so that they could most likely go buy themselves some booze instead. Seeing this, my mom marched after him and grabbed him by the collar before he could get out the door and told him, “Now, I gave you money because you were hungry and wanted breakfast, and I just picked up my son from the hospital and we are thankful to be alive this morning. I didn’t give you money to go blow it on booze and cigarettes.” She then proceeded to walk the man to the counter at McDonald’s, as if he was a six year old boy, and made him order breakfast for him and his friend. Then she took her change back and sent them on their way with a paper bag full of hot McDonald’s goodness. Back where me, my girlfriend, and my grandma were sitting, we couldn’t stop laughing at the spectacle of my mom making this bum unexpectedly order him and his friend breakfast. To this day, that story that started out so frightening still brings a smile to my face. I don’t know why Jen’s post made me think of it. Maybe just to illustrate that diabetes is what it is, and it is going to throw a curveball in the direction of all of us at some point. The key is to be ready, and to be thankful for all the times that diabetes doesn’t win, which hopefully far outnumber the more fearful moments. 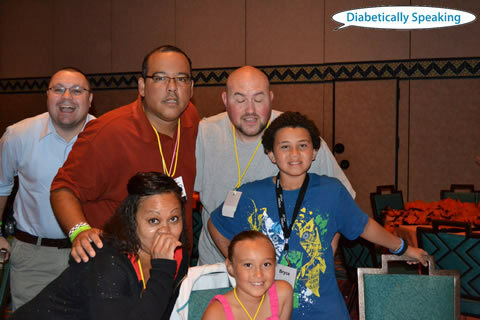 Remember that, as a parent, it is your reaction to diabetes that your child will remember and learn to mimic, and will carry with them through life. National Health Blog Post Month, Day 17: Let It Be. What’s something that bothers you or weighs on you? Let it go. Talk out the letting go process and how you’re going to be better to yourself for it. You want to know what weighs on me? Backpacks. Messenger bags. Man bags. (It’s called a satchel. Indiana Jones wears one.) Call them whatever you want, I don’t like having to carry so much junk around with me to stay alive. Especially when I’m trying to do something fun…which is like, all the time in my world. Diabetes is a disease that should come with a complimentary burro. 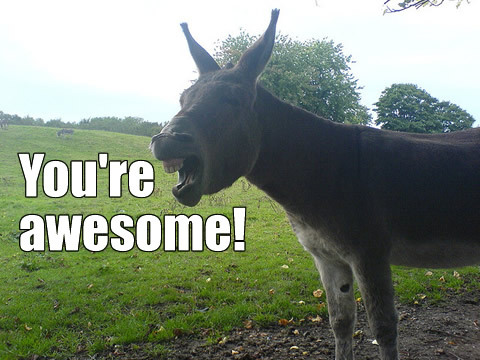 And I don’t mean one that says “Thank you” or “You look very nice today.” I’m talking about a burro to help haul around all of the supplies required for “optimal” diabetes control. I can look at that list of stuff and justify every single bit of it. What can I say? I like to be prepared. 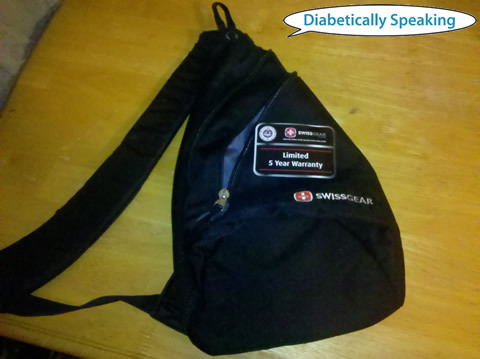 They should tell you at diagnosis that a side effect of having diabetes is chronic overpacking. I think I’m going to need a bigger bag. Monday, November 14, was World Diabetes Day. All around the world people were wearing blue, sharing their stories with diabetes, advocating and increasing awareness, and even lighting landmarks blue. Here in Florida, the city of Orlando changed a number of their downtown landmarks to blue thanks in large part to the efforts of one Tremayne Sirmons, a person with Type 1 diabetes who made it his personal mission to turn the world around him blue for just one day. 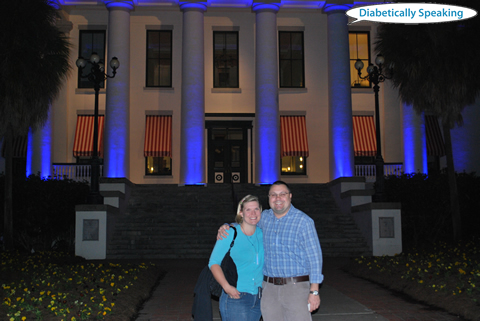 A bit further north in Tallahassee, the folks at Novo Nordisk sponsored and managed to convince the powers that be to allow the old Florida state capitol building to be lit blue for World Diabetes Day. This was reportedly the first time ever that the capitol has allowed any group to change its public facing image in such a way for health awareness. 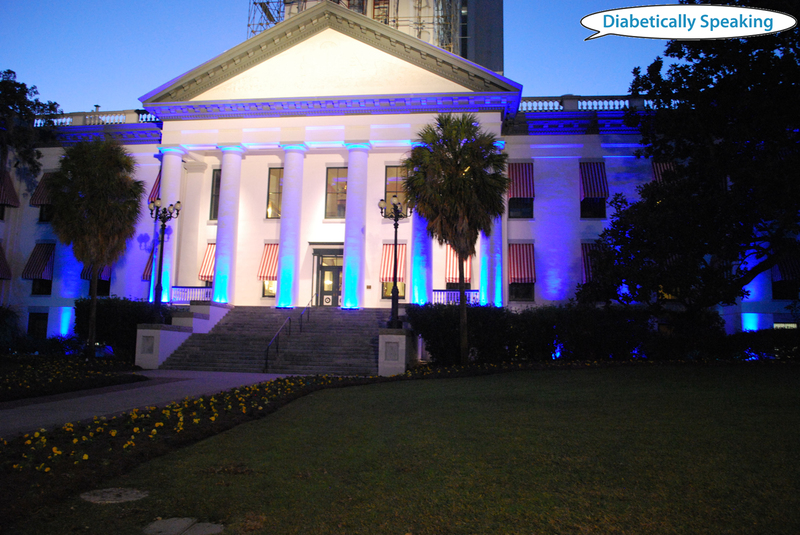 Manan Shah, who works for Novo Nordisk, shared with me that it took them several years to finally make lighting the capitol blue a reality here in Florida. They have been successful at lighting the capitol of North Carolina blue for the past two years. Like Manan, I hope that this trend continues to the point that every state in the union has their capitol turned blue on November 14 each year. Can you imagine if the capitol in Washington D.C. went blue for World Diabetes Day? That would certainly set an example for all of the states. Go ahead, put it on your list of things to do. It’s on mine, as soon as I can get to Washington and start putting the bug in the ear of senators and state representatives on the hill. 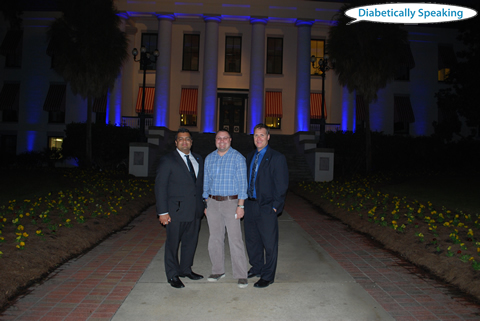 I felt a swell of pride for the state of Florida on Monday night, and was so pleased and grateful that they made such a bold statement in support of people with diabetes as to allow the historic capitol building to change its image in such a profound way. Earlier in the day there had been a press conference on the steps of the old capitol, and one of the speakers was a 15 year old diabetes advocate with Type 1 diabetes who shared her story and made it clear that diabetes is not a disease that can be ignored. And we won’t be ignored either. Next year, I expect to see even more cities, states, and people getting on board with showing their support for people with diabetes on World Diabetes Day…and every day. P.S. 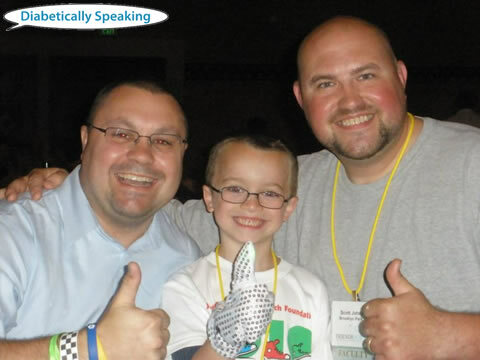 – Today’s blog post is my 100th blog post since launching Diabetically Speaking. 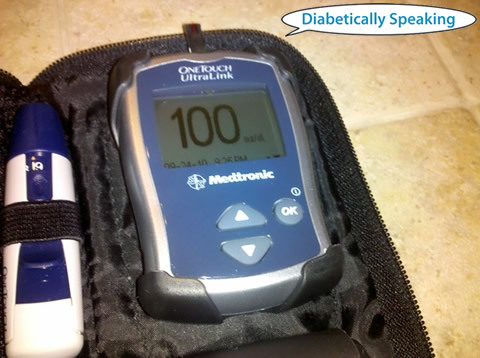 That may not be a big deal for some folks, but I am taking it as an accomplishment, and proud that I was able to share something as important as World Diabetes Day as my 100th blog post. Thank you all for reading, and for your continued encouragement. Now here’s a gratuitous picture of a 100. National Health Blog Post Month, Day 15: This one’s for you, baby. Dedicate a song to your condition. Why did you pick that song? Find a YouTube or link to a version to embed in your post. I’ve been thinking about this blog post, and letting it marinate in my imagination for the past day or two. I’ve written and related music to my place in the world in the past, including here, here, and here. Lately I’ve been in this spot where I haven’t been wearing my continuous glucose monitor (CGM) consistently (again). Recently my sensors expired, and after trying to get the remainder to work to no avail, I don’t even have the option to wear my CGM now until I order pump supplies again. It has been about a month since I have worn my CGM. As a result, my blood sugars have been all over the place. This morning I woke up at 292. Then tonight, I bottomed out at 35. Diabetes is like that. Sometimes it feels like there is this beast inside that is chewing through wires and smashing buttons and causing all havoc in my body’s proverbial blood sugar control room. That was when I thought of the perfect song to dedicate to my diabetes…“Monster” by Skillet. Listen to the lyrics. The song is all about a monster that cannot be controlled. We try with diabetes, but so often it feels like we are the lion tamer in a cage with three lions who at any minute could decide that they’ve had enough of behaving. A lot of the time I hide the diabetes monster, and bed it down so that it doesn’t make noise or cause a commotion. Another line in the song, “My secret side I keep, hid under lock and key, I keep it caged but I can’t control it.” Keeping all of our diabetes fueled emotions bottled up inside is sometimes the only way that we have the strength to deal with diabetes, as if ignoring it will make it go away. Throughout the song there is a line that says, “I must confess that I feel like a monster.” That is how I feel when my blood sugar is low or high and I’m struggling with diabetes. I need to let it out and say, “No, this is not okay!” Maybe I need help, or maybe I just need someone to appreciate the gravity of what I’m feeling inside. This battle wages inside all of us with diabetes, regardless of type, and eventually we manage to become the monster ourselves and fight back. In a few weeks I will have new CGM sensors, and will know exactly what my blood sugars are doing between finger pricks. Well, at least within 20%. It doesn’t sound that dramatically radical, ordering pump supplies and getting new CGM sensors, but that is exactly what it is. It is action taken to gain control and tame the beast. 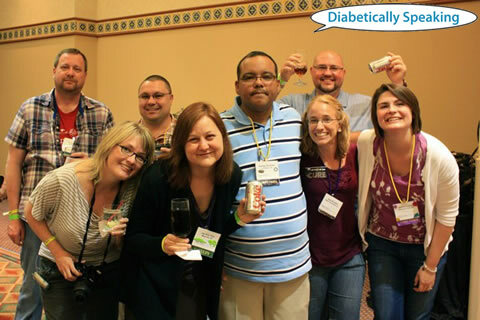 I say to you, diabetes…who’s the monster now? RAWWWRR!